Cirque du Soleil ??? Information ??? Present and Past ??? a special report written by Carsten Cumbrowski. This article contains a lot of information about the creations of Cirque du Soleil in a very compressed and compact format, a 101 article, a primer. If any of your questions about the Cirque is not answered by this primer and if the question is not too specific do not hesitate and contact me directly or via the comments section at this blog to ask me about it. The article grew so big over time that the load time started to suffer significantly. It also became much harder to find specific information quickly. So I decided to break it up into multiple (nine!) posts instead. You can use the provided links to navigate around this collection of articles about Cirque du Soleil on this web site. Note: I am keeping the post updated with new developments and show updates. Bookmark this page and check back from time to time! Please Note: The items with an icon in front of them refer to a separate article about the subject. However, if you are just interested in short lists (list of shows, list of sound tracks etc. ), then you do not have to leave this page to the detailed articles, but scroll further down to find your answers right there. ” “Cirque du Soleil” is a French moniker and is translated to “Sun Circus” or more appropriately “Circus of the Sun“. Hence, their sun logo, which is said to have been created by the troupe?? ?s founder, Guy Lalibert? ?, while lying on a beach in Hawaii. Cirque du Soleil is an Avant-Garde (meaning one that develops new or experimental concepts in the arts) circus troupe created in 1982 as “Club des Talons Hauts” or “The High-Heels Club”. In June 1984, Cirque du Soleil officially came together in part by contributions and summons by the Qu? ?bec government to celebrate the 450th anniversary of Jacques Cartier?? ?s (1491-1557) arrival. I have a lot of videos with actual show footage from shows where no DVD of the full show recording is available for purchase yet. I am not talking about short teasers that are 1-3 minutes long, no no, I have much better stuff than that* :). Enjoy. *Note: A video of a Cirque show is only a better quality advertisement for the real deal, which is the experience of a Cirque du Soleil show live, at the Big Top or at the venues for the various resident and arena shows. If you have not seen a Cirque show live yet, try to change that whenever it comes possible. If you did see a Cirque show live already, I have nothing else to tell you (preaching to the choir :)). Below is a short video for starters. It is only a few minutes long and titled “Cirque Du Soleil Now and Then ??? 1984 to 2009“. It is a brief history of Cirque Du Soleil and it is very compressed, no talking, just images from the shows. Well, if you have to cover 25 years of history in about 5 1/2 minutes time, you have to stick to the stuff that is most important ;). From the humble beginnings in Baie-Saint-Paul, Quebec (Canada) in 1984 to the worldwide fame and multi-billion dollars enterprise of today in 2009, the shows, the people and the entertainment. Backup URL to Video on vimeo (http://vimeo.com/3259064). You can also download this video in .AVI format here. What do the names of shows mean and what is the background story? Not included in this list are TV productions, Show DVD special features and other types of documentaries that were not officially released on a separate VHS or DVD. For a full list of documentary productions see details here. Note: The rumors that I posted here are all unconfirmed. For confirmed future projects check out the individual articles about Cirque du Soleil “Resident Shows“, “Touring Shows” and “Arena Shows“. Date Unknown ??? Cirque du Soleil has proposed a theme park near Oropesa del Mar/Orpesa, Spain to act as a permanent location. The theme is “Illusion World”, and it would be located in Castellon. That?? ?s it and all there is at the moment. Not bad eh? If you did not see a Cirque show yet, go and make it an item on your “must see before I die list”. The videos and DVDs are nice, but never replace the actual atmosphere and visuals of a live performed show. I watched a few Cirque shows twice already and it was never boring, because you can?? ?t notice everything at once that is going on live. Cirque shows are “notorious” for stuff happening in parallel to the main story and acts. See the Global Citizenship web site of Cirque du Soleil for more information about the Cirque?? ?s community and environmental projects around the world. Performers of Cirque du Soleil set more than once a new record for the Guinness Book of World Records. Check out the following articles of mine to find out more about those records. The Cirque is now heavily recruiting new and old talents. They created a special section on their web site just for this purpose. It was very well done and is very elaborate and rich on multimedia content, including tons of small videos and more. Here is the URL to their new Casting/Recruitment web site and to their open positions listings via Taleo.net. North America: Contact your local Manpower office. Europe: Contact your local Manpower office. Germany: Contact your local Showbizz office. Australia and New Zealand: Contact your local Adecco office. Is there a Cirque du Soleil school? 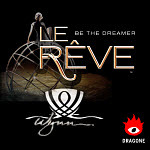 The folks over at the Wynn in Las Vegas are also looking for performers for their show Le R??ve. Their casting efforts are just as serious as the Cirque???s. They even but their casting web site for the show up on its own domain, LeReveCasting.com. Cirque du Soleil Database at CirqueTribune.com has details and background information about artists and creators of Cirque du Soleil shows. CirqueTribune.com also has a Wiki, Forums, Image Gallery and a Chat Room, which is only open in the evenings from 5p-2a Pacific seven days a week. Various articles to Cirque du Soleil at the English language Wikipedia ??? The free encyclopedia that everybody can edit. See article index for the Category “Cirque du Soleil”. Le Grand Chapiteau (and here) by Ricky “Richasi” Russo from Orlando, Florida. 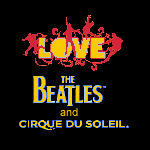 Cirque fan site with much information to the shows and Cirque. The Cirque du Soleil FAQ (TXT file) is a very detailed FAQ about the Cirque and its shows, videos, music and more, maintained by Ricky “Richasi” Russo. ?? ?Have we ever visited your area???? ??? A web page by Cirque du Soleil where you can check which Cirque show ever visited which City around the world, since 1984. Cirque du Soleil ??? A Dreamers Odyssey (Odyssea)??? The interactive Cirque du Soleil story and history. Official YouTube.com online video sharing channel maintained by Cirque du Soleil. Official YouTube Channel maintained by the Cirque du Soleil marketing team in Las Vegas, Nevada. Media Gallery at CirqueDuSoleil.com ??? official gallery of videos, images and music published by Cirque du Soleil. Get the Cirque du Soleil widget with cool videos, multiple full length music pieces from Cirque du Soleil shows, information and promotional alerts right from your desktop. Check the latest special promotions, discount deals and offers that are available for the shows that are running in Las Vegas, Nevada. My Cirque du Soleil Image Gallery at Google?? ?s Picasa Image sharing online service. Cirque du Soleil Images at my Flickr account. More pictures and better sorted than the Gallery at my Google Picasa account. Over 4,400 photographs and pictures of Cirque du Soleil in 41 sets, Wall Papers (various sizes, including Mobile), Logos, CD & DVD Covers, Disks, Special Events photographs, Movies Screen Shots, Photo Shots from Commercials & Special Promotional Events and Performances. YouTube video play lists with my Cirque du Soleil Videos and my play list with a listing of numerous Cirque du Soleil videos from various contributors and of course my CirqueDuSoleilGuru YouTube Channel. Special Cirque Music Downloads ??? my file-share at Mediafire with rare and hard to get (out of print) music from Cirque du Soleil shows and events. This fan group at Dailymotion.com was setup by me. It does not have nearly as much videos as the group on YouTube or my CirqueDuSoleilGuru channel, but if you are a Dailymotion user, then you might want to check it out. at YouTube.com (The admin account for this YouTube group got suspended and hence hanging in lingo since then. However, over 300 Cirque du Soleil videos were published to this group, which makes it still worthwhile checking out. A custom video channel at Magnify.net, which collects in a somewhat automated fashion videos about Cirque du Soleil from tons of video sharing web sites and other web sites on the Internet. The channel was setup by me. Cirque du Soleil Mailing List, a Yahoo Group dedicated to Cirque du Soleil. 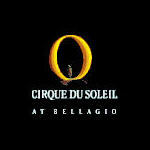 Follow the the Las Vegas Cirque du Soleil branch on their Twitter account. Only for mature audiences. Two online games about the Cirque du Soleil show Zumanity, the sensual side of Cirque du Soleil, which is performed live at the New York, New York hotel and casino in Las Vegas, Nevada. Spoiler Warning: If you want to save your sweat and see all the videos from the Hoops Game in one composite video, check this out (cheater! hehe). Also check out the online Quiz to determine in which mood you are in and which of the Las Vegas Cirque shows would be right to match your mood. Attention Students! 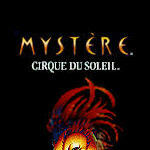 Cirque du Soleil offers a 35% discount for the tickets of 5 of their Las Vegas shows, including: Myst? ?re, Zumanity, KA, Love and Criss Angel Believe. A valid Student ID is required. 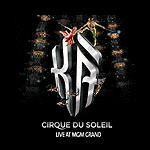 For details about this promotion visit the official Cirque du Soleil Promotion Page. Okay, something else. I know that some people will give me a lecture for saying this (again), but I don?? ?t care. Franco Dragon?? (the creator of the Cirque du Soleil shows Cirque Reinvent? ?, La Magie Continue, Nouvelle Experience, Saltimbanco, Myst? ?re, Alegria, Quidam, O and La Nouba) and Michel Cr? ?te left the Cirque in 1998 after finishing the resident show La Nouba for the Disney World Resort in Orlando, Florida. Dragon?? created, much to the dislike of the Cirque, a Cirque du Soleil-like show for Steve Wynn?? ?s new property in Las Vegas, the 2.5+ billion Dollars Wynn Las Vegas hotel and casino mega-resort (which has it?? ?s very own golf course right next to the hotel). The name of the new show is “Le R? ?ve” (The Dream in French) and it premiered on May 6th, 2005. The main difference to traditional Cirque shows is that rather than relying on few high profile acrobatics act that are hard to impossible to replace, does the show compensate for the lack of those acts with very elaborate acts with many performers at the same time, enriched with even more elaborate visual effects. The side effect of this is that the show feels more like a real show with a theme that was not artificially added to existing circus acts. This also means that the circus aspect of the show falls very short of the expectations of those who expected to see a classic Cirque show. Interestingly did I notice that the much younger show by the real Cirque, “Love, which has the Beatles music and time era as basis, follows a pattern that is very similar to the one of Le R??ve. If “Kooza” in 2007 wouldn?? ?t have proven otherwise, I would have thought that this would be the “new” Cirque du Soleil trend. Kooza is a very traditional Circus experience, just FYI. Steve Wynn sold his other Las Vegas properties the “Mirage“, “Treasure Island“* and the “Bellagio” to the media giant Metro–Goldwyn–Mayer (MGM), who also happens to own the “New York, New York“, “Luxor” and the “MGM Grand“, all the hotels & casinos where the current resident shows of the Cirque are being performed. And how about this? ???. The latest planned show for Las Vegas will also be for a property that is owned by MGM, the currently constructed “CityCenter“. If rumors are true and another show is being planned for Mandalay Bay, then it would be two new shows for two of MGM?? ?s properties. Funny, isn?? ?t it? A coincidence? Highly unlikely in my opinion**. *MGM sold the Treasure Island again in 2009 to former New Frontier hotel owner Phil Ruffin. ** It was Steven Wynn though who brought Cirque du Soleil to Las Vegas. Nouvelle Experience was performed for several months at the Mirage and the first permanent Las Vegas show of Cirque du Soleil is Myst? ?re at the Treasure Island (while it was still owned by Steve Wynn). Why the Primer? Who Am I? So why this long write-up all of the sudden, you might ask? Well, I spent a lot of time on creating Cirque du Soleil videos. I referred to a large number of them from the various posts that make up this primer article series. I also created just recently groups for fans of the Cirque at popular video sharing sites and networks (see the “More Resources” section further up in this article). I learned a lot more about the Cirque since the last time I wrote extensively about them. I saw most of Cirque du Soleil shows so far, with the exception of “Criss Angel Believe“, “Ovo“, “Zaia“, “Zed” and “Wintuk“, but I guess that it is a reason to go to New York City one of these days to be able to watch it, right? “Believe” is somewhat cursed or something like that (almost like with “Zumanity” was a couple of years ago). Whenever I was in Las Vegas, the show was not running as it was supposed to. 1st a delayed premiere and the second time several months later, the show performers had vacation for two weeks :(. I will wait for “Ovo” to come to California. “Zed” and “Zaia” will be a bit more complicated. I guess I will have to wait for the DVD recordings of the shows in order to see it. I get from time to time the question “What is your favorite Cirque du Soleil show?“. I have no simple answer to that question, but tried my best to do so in this blog post of mine from May 2009. I am not working for Cirque du Soleil and have no insider contacts or knowledge. The information found in my articles were collected from numerous public sources on the Internet and offline (e.g. at Cirque du Soleil shows and venues). The officials at Cirque du Soleil actually don?? ?t know yet, if they should love or hate me. This is nicely illustrated by the second part of this blog post of mine from September 2008. If you are a fan like me and to get access to additional goodies, such as wallpapers, greeting cards, articles, news and tickets before anybody else, join the official Cirque du Soleil Club. It?? ?s free and anybody can join! it was possible, but were not the criteria for adding the link in the first place. If you want to show your appreciation for the work that I did to create this primer and the other content about Cirque du Soleil, use my links to buy any of the mentioned products or show tickets. Thank you. Excluded from this list are the posts that make up the Cirque du Soleil Primer, such as list of shows, music releases, history Etc. Some posts were already mentioned somewhere in this primer article, but I decided to include those in this list again. Criss Angel and Cirque du Soleil ??? ???Believe??? Negative Feedback for Criss Angel?? ?s and Cirque du Soleil?? ?s ???Believe??? Crazy question – do you know the font used for Cirque du Soleil’s logo?? I saw Cirque du Soleil using two different logos. The first one I don’t know the font at all, for the second one I believe they are using “Adobe Garamond Pro Condensed” (if there is a font like that, because I don’t have it). I did some tests and for the logo font 2 did match Adobe Garamond Pro pretty close, it’s only a bit wider. That’s why I think it could be the Condensed version of it. You can see my tests and original logo fonts at Flickr here (Font 1) and here (Font 2). If you find out, let me know. Thanks. I have a question about the film Alegria made by Franco Dragone in 1998 about love between a mim and dancer (?). I want to see that film but i cant find it. Do you know if exist a torrent to download? Or something like that? I will be grateful to you for any information. You can find a link to Amazon.com to purchase the DVD, if you like. You don’t have to get it from Amazon.com though. Any well sorted retailer of DVD movies should have it available. I decompiled some official Cirque flash movies and checked which font they are using there. They are using Trajan & TrajanPro, Regular & Bold. That’s actually the font that I used myself all the time hehe. However, the font is only similar to the original logo font, which might be a modified version of the Trajan font. See font here at Flickr. Just wanted to write you to tell you, as I stumbled over your page today, that I love it. It is a great resource to get down to all the details of Cirque. Stuff I always search in many different places online for. I am wondering though since you do seem to somehow find a lot of info on Cirque… Do you by chance know anything about how to go about getting a technical job with them. I know the whole employment page they have on their home site but, I guess what I am more specifically thinking is, since the show is coming to LA in 2010, do you know how I might go about inquiring for a job with that show? From ushering to backstage duties I would just love to get my foot in the door because it is my career goal to try and work for such an amazing company! I do not have any internal contact to Cirque du Soleil (e.g. “no special connections” or “insider”). I collected pretty much all my data as an outside observer. It is amazing how much you can find out about something or somebody just by using public information on the Internet. You probably saw the chapter “Attention Performers and Artists” in this primer. It’s about recruiting and job opportunities at Cirque du Soleil and offers a bit more than just a link to their Employment Page. What kind of technical job are you looking for with a Bachelor in Arts? As a general tip that could be used for any company is to find out who is currently employed and/or managing the departments you are interested in. Then try to get in touch with them on a more personal level, online via sites like MySpace, Facebook etc. for example and offline. People who work in a profession of their own choosing and love what they are doing often share similar interests and hobbies and for virtually any hobby subject there is are some people who organize get-together from small local groups to large national conventions. There you get the chance to get to know people in person. You can try to help them with solving a problem that they might have as a favor and to show them how knowledgeable you are about a subject. The closer the subject is to what you want to do professionally for them (and paid), the better. This does not get you a job by default, but puts you on the list of people they know, who could be interested in a job, when there becomes one available. Another approach that has a high possibility of success, if done right and possible for you to do in the first place, is to offer your services for free (including covering your own expenses by yourself). It’s hard to reject something like that, unless they are already over-staffed or if you were unable to demonstrate that your free help is unlikely to take away their own time too much, because you are unable to perform the necessary tasks on your own (e.g. makes your intention to help a burden for them). I heard fabulous and most of the time funny stories from people in other industries (not Circus Arts :)) who did this very successfully. Most people don’t have the guts, self confidence, will, endurance, persistence or financial means* (* that one could often be neutralized by a bit more “will” and “endurance”) to follow through with something like this and proof to the people in that company that there is no way to not hire you :). You live in L.A., Vegas is not very far from there and Cirque has already 6 and by the end of this year 7 productions permanently running there. Plenty of opportunity. They are still in the creation of their “Elvis” show for the new and also to be completed “MGM Citycenter” property that is scheduled to premiere in November this year. I am sure that they would appreciate a helping hand, especially if you do it free and quickly prove your value to them.